Fourteen years after defeating the immortal warrior Himuro Genma and thwarting the Shogun of the Dark’s evil plans, Kibagami Jubei continues to roam all over Japan as a masterless swordsman. During his journey, he meets Shigure, a priestess who has never seen the world outside her village. 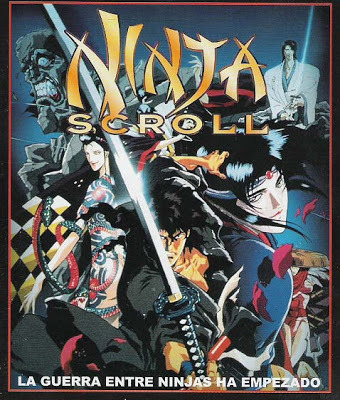 But when a group of demons destroys the village and kills everyone, Jubei becomes a prime target after acquiring the Dragon Jewel – a stone with an unknown origin. Meanwhile, Shigure – along with the monk Dakuan and a young thief named Tsubute – travels to the village of Yagyu. And with two demon clans now hunting down Shigure, Dakuan must once again acquire the services of Jubei to protect the Priestess of Light.